Fibroadenoma refers to a benign breast tumor that is not a precursor to breast cancer. Fibroadenomas increase their size and tenderness as estrogen levels increase (such as during pregnancy). While the tumor itself is not malignant, its presence can cause patients a scare (who fear they have a more serious form of a breast tumor). Tenderness during high estrogen periods (such as pregnancy/menstruation). On breast exam a fibroadenoma will often feel like a small, movie, firm mass with sharp edges is felt. Has been described as a “marble-like” mass. Histology (fine needle aspirate) can demonstrate a tumor that is composed of fibrous tissue and glands. This does not require treatment. Very well! Benign and not cancerous. Prevention methods for fibroadenoma are not established. Not much! 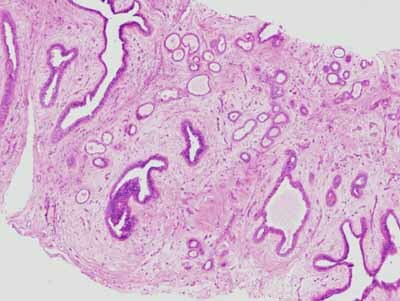 There is no evidence of increased risk of carcinoma in patients who have fibroadenoma. This is the most common benign breast neoplasm of the breast (often detected in pre-menopausal women).